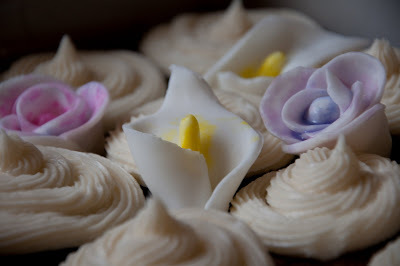 Cupcakes for a tasting with fondant calla lilies and roses. 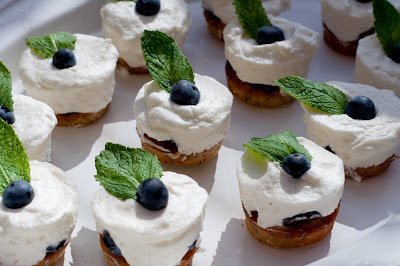 Lemon poppy seed pound cake with blueberries and vanilla mousse. 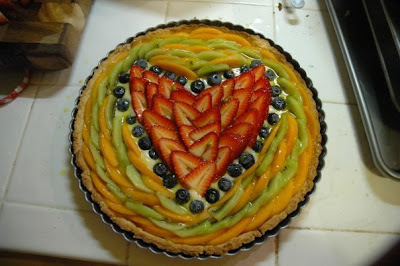 It's tradition for me to make two things at Valentine's Day: tuxedoed strawberries and a fruit tart. Here's my fruit tart from this past year: vanilla custard tart with fruit and passion fruit syrup. 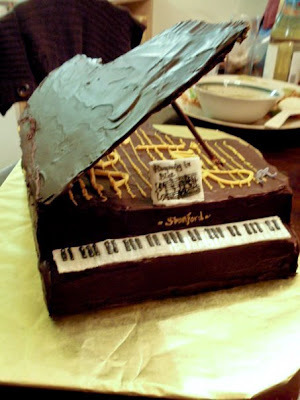 This is a sculpted cake that I made for pianist Jon Nakamatsu's birthday party. 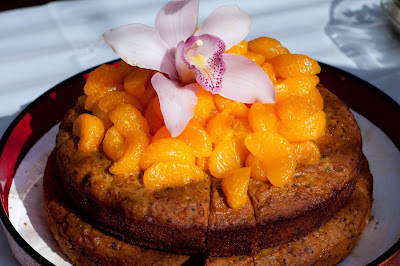 The entire cake is edible, including the open lid and its support. 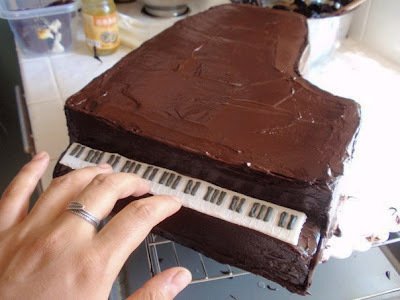 The outside of the cake is coated with dark chocolate ganache, and the keys and music made of sugar paste. 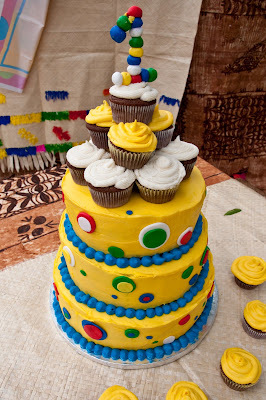 Note also the shutter shades sitting on the edge of the piano, which were made from royal icing. 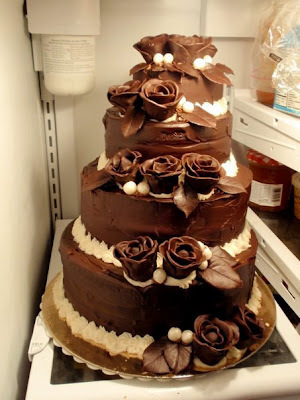 The cake in the making, for a sense of scale. 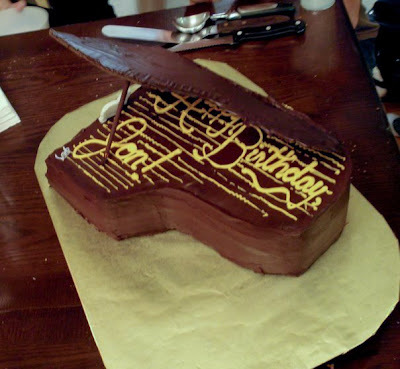 I was quite proud of this detail: the strings of the piano wrote out: "Happy Birthday, Jon!" 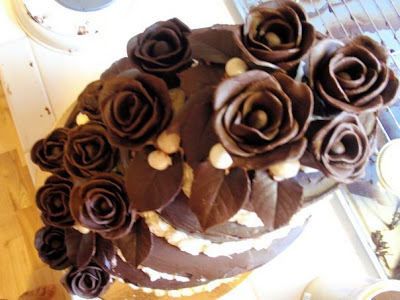 Devil's Food cake with vanilla buttercream, passionfruit filling, dark chocolate ganache, and hand-molded chocolate roses and leaves. 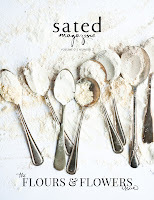 for Ivan & Celeste's wedding, themed "Decadence and Decay." 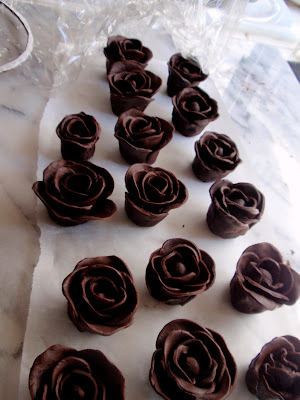 A close-up of the roses, made of molding chocolate. 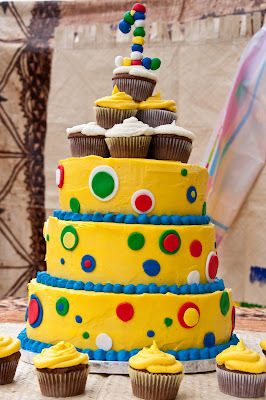 Red velvet cake with vanilla buttercream frosting and hand-cut, sugar paste design (no stenciling). 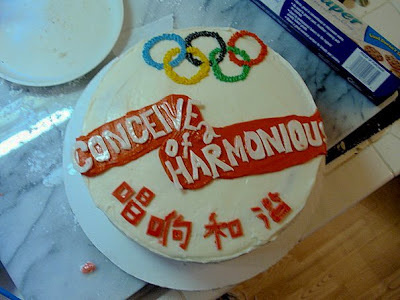 This is a spoof cake that I did for a 2008 Beijing Olympics Opening Ceremony viewing party. It's based on this banner that was in China during the Stanford Symphony Tour there before the Olympics. Note that the Olympic rings are wrong on purpose: this is how they were done in a concerthall in China. 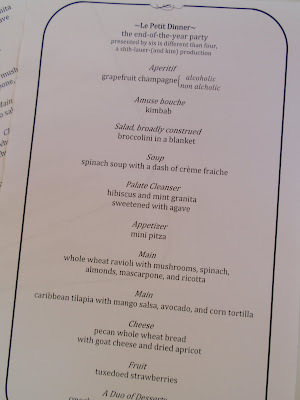 This is the menu from last year's End-of-Year party that I co-catered for the department. 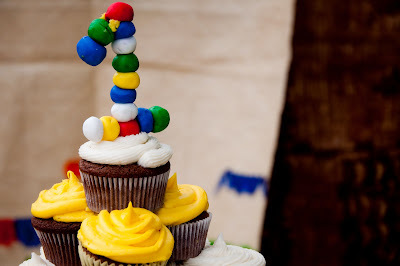 It was a complete 11-course dinner, all in miniature. 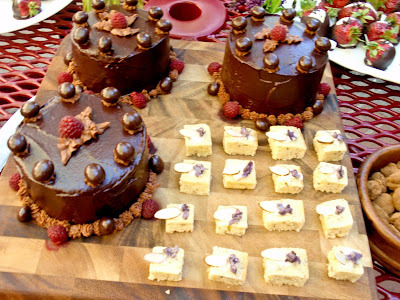 Dessert, which is cut-off from the menu, included two entries: lemon-lavendar teacakes and raspberry mocha chocolate cakes (again, all in miniature). 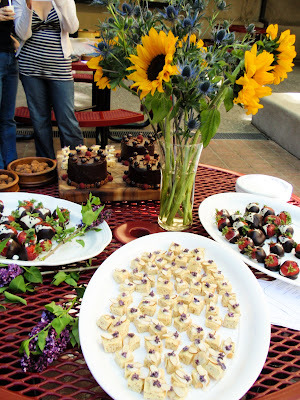 Preceded by my tuxedoed strawberries and followed up by spicy chocolate truffles. 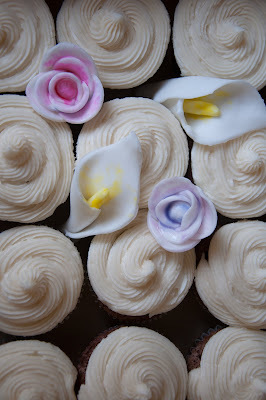 In the foreground: lemon-lavender teacakes, with hand-coated sugared lilacs and almond slivers. 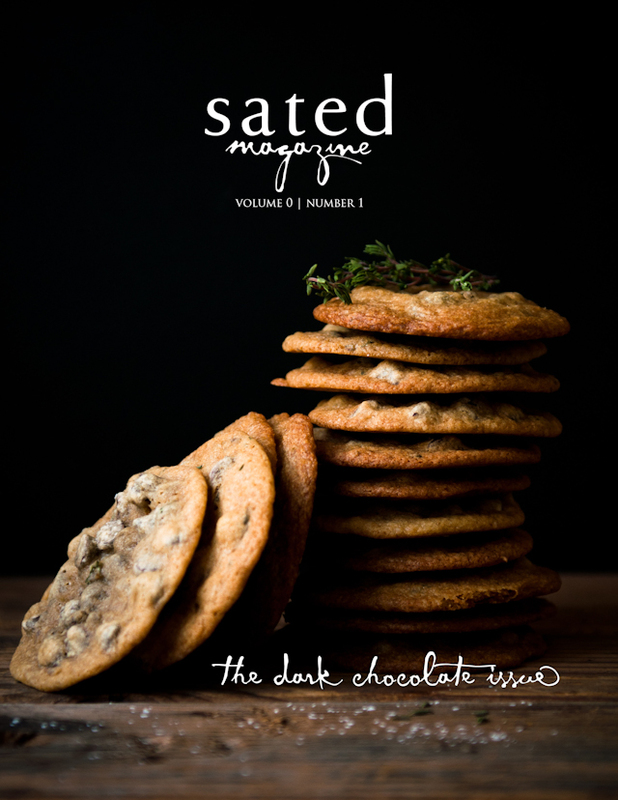 At the sides: tuxedoed strawberries. 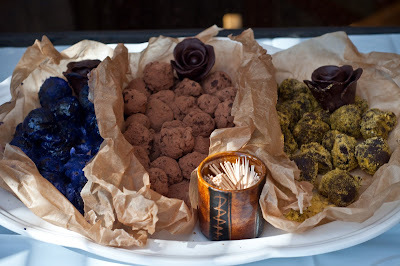 In the background: raspberry mocha chocolate cake, and spicy dark chocolate truffles.